Wow, just freaking wow. 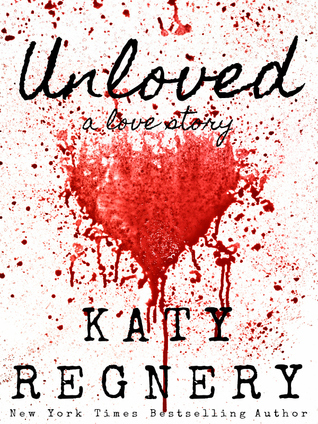 I have read a lot of Katy Regnery books and this was completely different in a lot of ways. They style of writing was certainly different as the writer wrote this in first person present tense, when usually her books are in third person past tense. But that wasn’t just it. This story. It was gritty and dark and raw and somehow so sweet and beautiful. It ran me through so many feelings I felt like I had emotional whiplash and I just loved it. I admit that when the book started I was like I don’t know if I like where this going. I don’t know if I want to read this. Both the heroine and the hero had such tragic awful pasts and it all seemed so hopeless to me, but isn’t that what a good writer does in romances? They give you hope when you think theres none left. They give you love when all seems lost. And this book did that for me and then some. I have to say that I really hope that the author will write more books in this style of writing as I just adored it. Unloved still had the beautiful writing that I have grown to love from Katy Regnery but it felt more person and I connected more with this story. I think sometimes romance in first person does that. Five stars for these beautiful broken characters their epic story.